It may not reach the importance of the ‘best-filling’ versus ‘tastes great’ soda debate, but new numbers add fuel to the ongoing question of what’s most important in measuring app store supremacy: downloads or revenue. Both those rooting for sheer demand as well as ultimate revenue figures found something to cheer about Wednesday. Analytics company App Annie is out with second-quarter numbers showing the Android-based Google Play store had ten percent more download’s that Apple’s iOS App Store. However, Apple – which prides itself on being the Tiffany of technology – raked in 2.3 times the revenue. 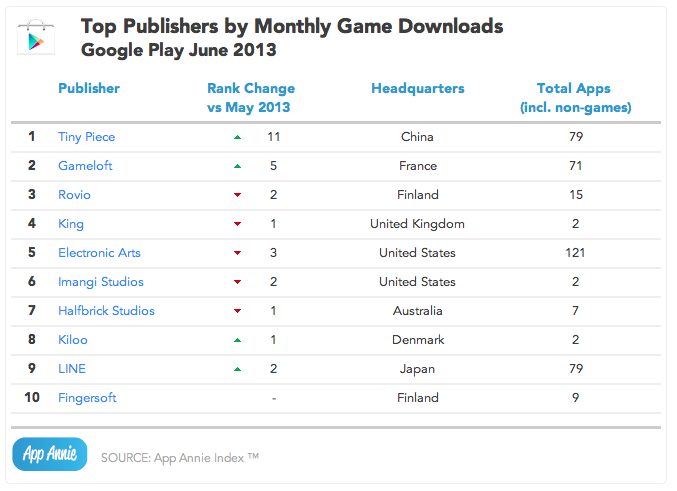 Google Play’s lead in app downloads is encouraging for Android users. An earlier first-quarter report showed Google’s app store had just 90 percent of Apple’s App Store downloads. However, today’s numbers aren’t too surprising. Not only does the download figure mimic handset metrics, where Android devices physically outnumber iPhones, but it is also the result of cheap smartphones being dumped in emerging markets. 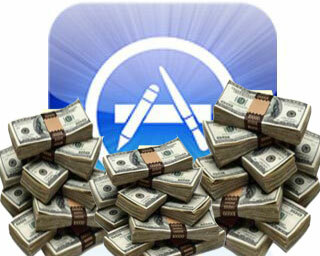 By comparison, the iOS App Store remains more revenue-rich for both Apple and developers, according to App Annie. 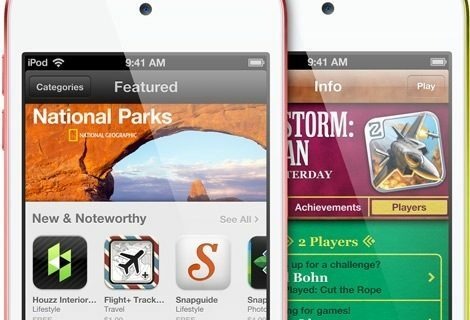 Apple’s App Store still generates 2.3 times the revenue of Google Play, the analytics firm said. Driving the revenue was “substantial growth” in music and social networking apps for the iOS platform. The chart top of post graphically illustrate this split between app downloads and revenue. 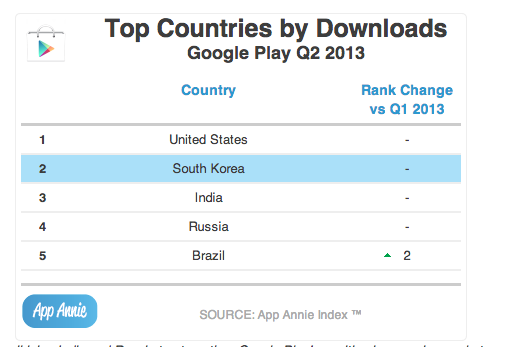 When it comes to Google Play, its increase in downloads is not translated into revenue. 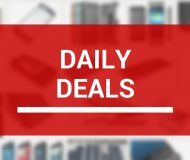 A recent report by Flurry found that the average Google Play app costs six cents, compared to 19 cents for the iPhone and 50 cents for the iPad. Additionally, the desire for cheap apps was found to be strongest among Android users. Should Apple worry about the increase of Android downloads? Google could overcome its revenue gap by numerically selling a cheap Android app to everyone on the planet. We can already see this strategy by the presence of India, Russia and Brazil in the top-five nations downloading Android apps. 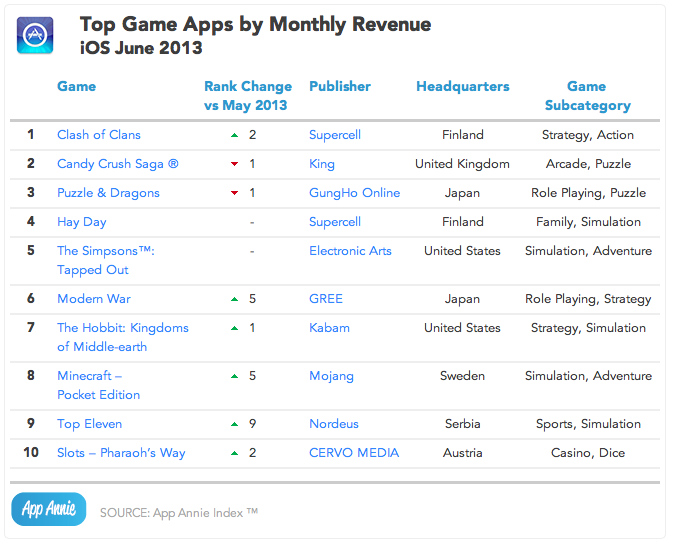 The top 10 games by monthly revenue on App Store (above) and Play store (below). App Annie also released an iOS Analytics app and another report on the categories of apps downloaded in the second quarter. For Apple, games remain the most-desired, with entertainment, photo & video, lifestyle and utilities rounding out the top five. 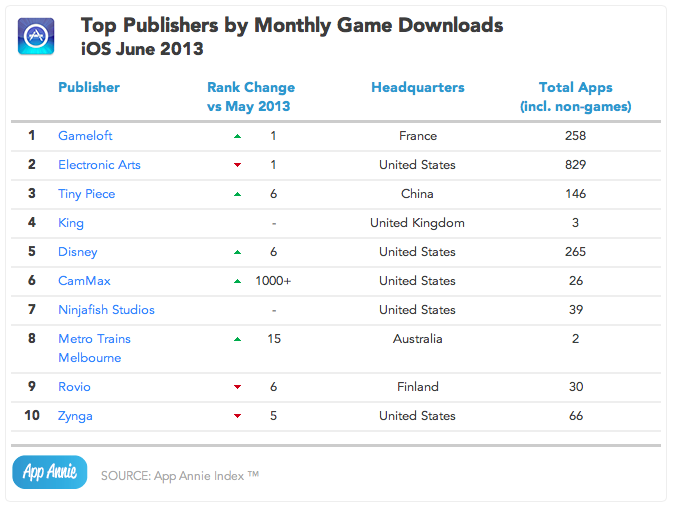 The top 10 games publishers by revenue on App Store (above) and Play store (below). 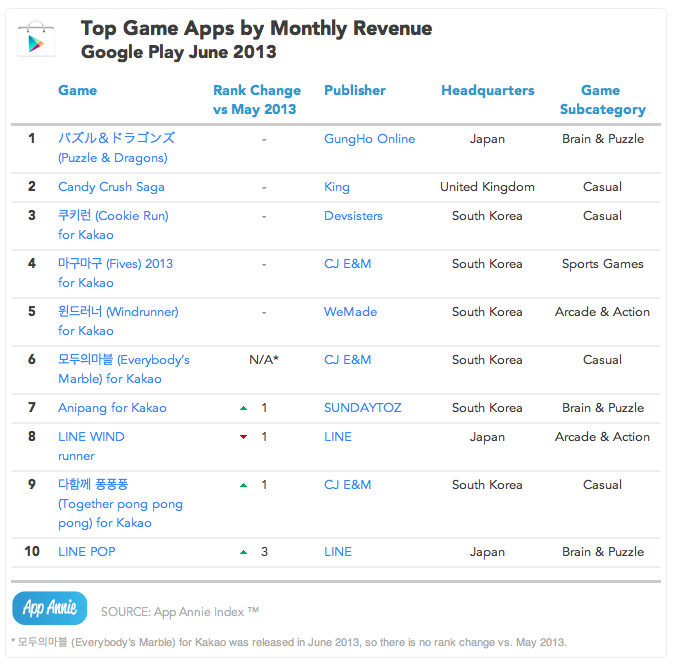 At Google Play, games also top the list, but communications moved up two places the No. 2, with tools, entertainment and social rounding out the list.